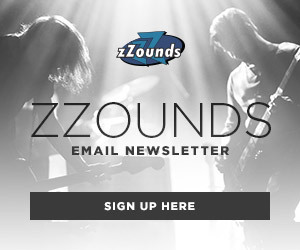 Here at zZounds, we’ve done more than a few Legends of Tone features the past couple of years. This time, we’re putting the spotlight on perhaps one of the most prolific, bizarre, and brilliant minds of the 20th century: Frank Zappa. He released an astounding 62 albums during his lifetime, almost all self-produced. After his death, another 49 posthumously released albums of extra material followed, for a grand total of 111 albums to date. He explored new recording techniques in the ’60s and ’70s and even directed feature films and music videos himself, creating a far-reaching creative vision for his music. His scope went beyond traditional norms and incorporated music from a wide array of genres, even exploring MIDI instruments like the Synclavier (an early polyphonic digital synthesizer and sampler). Zappa was keen on using motifs that spanned decades of albums, with references to prior melodies or famous breakdowns of tunes showing up across many albums. His approach was basically that he could make his entire discography a cohesive unit, which is massively impressive considering how large his catalog was. He eventually composed full-scale orchestral works by the end of his lifetime, crossing the worlds of rock, jazz and classical to critical success, which rarely had been done before. No small feat. His music is a collection of straightforward rock, art rock, avant garde, jazz and jazz fusion, satire, and pop music. Rather than exploring one genre, he felt it more appropriate to use music as a language and create it in whatever way best spoke to each particular idea or vision, largely mirroring cultural trends with poignant political commentary and criticisms. His body of work is vast but replete with ingenuity and is highly worthy of exploration. Can you tell that he’s a musical hero of mine yet? Frank Zappa was keen on exploring music and sounds from an early age, but percussion was his early love. Through percussion, he developed an interest in the modern classical music of the time, and that interest never left him. If you look to Zappa’s later live ensembles, you’ll notice a myriad of auxiliary percussion instruments commonly found in orchestras: marimbas, chimes, bells, timpanis, etc. 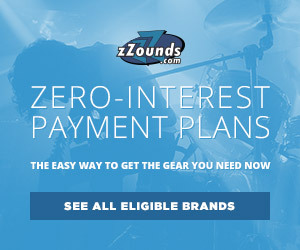 Through this love for more explorative music styles, Zappa began to grow his musical tastes. In high school, Zappa met Don Van Vliet (aka Captain Beefheart) who became a close friend of his. This relationship would help shape his musical stylings, as they both went on to have famous experimental music careers. Beefheart appeared on several of Zappa’s recordings over the years in various capacities. During their time in high school though, Zappa was still focused on percussion and became the drummer for local band The Blackouts. Soon in 1957, he was gifted his first guitar and took to the instrument quickly. He enjoyed improvising, referring to it as “air sculptures,” and idolized bluesmen like Howlin’ Wolf and Johnny “Guitar” Watson. Like most musicians of the time, Zappa took to the local club circuit performing music, but eventually landed a few lucrative deals making soundtracks for the films The World’s Greatest Sinner and Run Home Slow. As mentioned before, many of his musical ideas found in those films appeared on his later works in creative ways. Throughout his early career he would draw upon income from these films, as well as other film composing gigs to support himself along the way. A big break came in 1963 after Zappa saved enough money to broadcast and record one of his orchestra pieces. This eventually landed him a spot on Steve Allen’s late night show, where he famously performed a piece composed for bicycle wheel and made sounds against the spokes with drum sticks and a bass bow. In 1965, Zappa joined local band The Soul Giants and convinced them to change their name to The Mothers and perform his compositions. This gained them attention in the Los Angeles underground music scene. Another big break happened for Zappa when record producer Tom Wilson saw The Mothers perform at a club in 1966. He had previously worked with Simon and Garfunkel and Bob Dylan and used his clout to land The Mothers a spot on the Verve label, which had largely released modern jazz, but wanted to branch out into rock and other genres. Zappa’s band perfectly fit the bill and were signed, but with a caveat: they needed to change their name to the Mothers of Invention because of the slang connotation of their original name. They agreed and the band as we now know it was born. In 1966, The Mothers released the album Freak Out!, the second-ever double album released after Bob Dylan’s Blonde on Blonde. It is also an early example of a concept album, with a satirical central theme revolving around American pop culture and the “freak scene” of LA at the time. The album, which I absolutely love, is a classic of R&B, blues, pop, and doo-wop music and utilized countless recording techniques to create a truly unique piece of work. Upon its release however, audiences had assumed the album to be drug-inspired and dismissed it, but this only reinforced the counterculture appeal of the album and made it an underground music staple. Interestingly, the album was quite successful in Europe and influenced many of the avant garde musical trends happening overseas. The album was actually a major influence on The Beatles’ own classic concept album Sgt. Pepper’s Lonely Hearts Club Band. Paul McCartney, then inspired by Frank Zappa, had reportedly stated that “This is our Freak Out!” during the recording of the album. The Mothers of Invention’s classic 1966 album Freak Out! On Easter 1967, The Mothers of Invention played at the Garrick Theater in New York City and were offered an extended contract to play there for over half a year, allowing the band to relocate to New York from their native Los Angeles. It was during these shows that Zappa established his now-famous hand signals that he would use on-stage as a sort of unique conducting technique. His hand signals would indicate to his band what musical stylistic changes, stops/starts, etc. to play, allowing each show to be steered in any direction they wanted. Once the band progressed and settled into the New York scene, they recorded the 1967 album Absolutely Free, which expanded upon the themes of social satire and American culture found on Freak Out! but with increasingly complex song forms and arrangements. The band’s instrumentation continued to grow to meet the demands of Zappa’s new songs, and he added a keyboardist, woodwinds, and a rhythm guitarist. This was the first of many creative shifts in his career and established his growing need to update the band’s sound relentlessly. In 1968 the Mothers released the album We’re Only In It For The Money, which many consider to be one of the finest of their ’60s catalog. During The Mothers’ recording, The Beatles had released Sgt. Pepper’s, which led Frank to shift their album’s concept to a parody of The Beatles because he felt they weren’t sincere and “were only in it for the money.” The album initially featured a complete parody photo of the famous Pepper’s album cover (even getting friend Jimi Hendrix to appear in the photo), but the label had feared litigation and refused to allow it as the album cover, forcing the band to use it for the interior artwork instead. The ever-present themes of satire and political humor were of course present here, but Zappa had gone to great lengths to manipulate the album and included many advanced recording techniques. Cut-up segments of audio were interrupted with bits of talking, and tapes were sped up to raise the pitch of the band members’ voices to sound closer to that of the Beatles. Wild panning and other effects were added to further parody hippie culture and psychedelic rock, left and right-wing politics of the time, and the reality of police brutality toward their young rock fans. The album admittedly does hold up musically, and despite its humorous lyrics, songs with odd continuity, and bizarre talking segments, the album retains a cohesive theme and purpose and is certainly worth a listen. Both Freak Out! and We’re Only In It For the Money are featured on the 1001 Albums You Must Hear Before You Die publication. In my opinion, one of the funniest moment of the ’60s Mothers of Invention period happened on their 1968 album Cruising With Ruben & The Jets. The album came about simply because other members of Zappa’s band had reminisced upon their high school memories of doo-wop music, and they decided to release a collection of songs to faithfully reproduce that genre. The album is simple, but absolutely hilarious. The best part was that radio stations began to play the album across pop radio as they incorrectly believed it was an older doo-wop group’s lost album. Listeners were completely unsure if the album was a tribute or a complete joke. Though, the album was a bit of a fluff piece, Zappa was keeping his concept themes alive, and would work the fictitious band The Jets into his next album Uncle Meat. This album…the more I listen to it the more I can’t get enough of it. Uncle Meat was created as a soundtrack for a science fiction film that was never actually completed. It is by far the most bizarre of Zappa’s albums in his career up to that point, mostly due to the fact that he greatly expanded his composing and arranging to incorporate dense sections of horns, percussion, mallet instruments, and all of the tape altering and post-production psych rock tricks utilized on the previous albums. What stands out though, is that Zappa’s vision as a composer was allowed to be fully explored on this album and it absolutely shows. The arrangements are outrageous, and I sometimes can’t believe it was 1969 whenever I hear it, because most modern avant garde composers still can’t even come close to the level of ingenuity achieved here. 12-track recording technology, which was not as common as the 6 and 8-track options used at the time, allowed Zappa to incorporate numerous overdubs and interesting textures. The point of the album was to challenge his listeners with music that was unheard of so they could break away from the status quo music Zappa disliked. As I mentioned before, the album still holds up to today’s standards of art rock and experimental music and is regularly included in critics’ top picks of important early Frank Zappa albums. This brings us to none other than the final work of Zappa’s ’60s catalogue, and the one that we have dedicated our Zappa Legends of Tone feature to…..
1969’s Hot Rats stands out for many important reasons both historically and musically, and ushered in a new era of Frank Zappa’s music career. Humorously, he described his new album as “a movie for your ears.”There were a few innovations that were used to record the album, namely a “homemade” 16-track tape recorder that was custom built at TTG Studios in Hollywood in 1968. This was what enabled Zappa to continue to refine and enhance the track overdubbing he was becoming famous for. With 16 tracks at his disposal, he was also one of the first people to produce a full stereo image of a drum set by opting to dedicate 4 individual tracks to the drums (snare, kick drum, and a left and right track of the cymbals and toms, etc). With this unheard-of control, he could spread the drums across the stereo field. Most often in those days, an 8-track drum recording was recorded and then reduced down to a single mono track that was set in the mix wherever it was desired. While recording drums in stereo seems like common knowledge today, at that time it was not done very often. The technique was widely copied and used in the later recordings of the ’70s when larger tape recording devices with more tracks became the norm in the studio. Zappa’s classic pitch adjustment tricks were also used in newer ways, like the famous “toy drum” sound heard on “Peaches en Regalia.” He simply slowed the tape down to half speed, recorded regular drum fills, and then sped the tape up to normal speed to create the almost Rototom sound. Zappa also credited himself with “octave bass” in the liner notes of the album. Octave bass was a similar trick to the “toy drum” sound, where he recorded a bass guitar and sped it up to double speed – this gave it more “punch” and sounds very similar to a thick clean electric guitar sound. Pretty clever. Saxophones, organs, and other sounds were also pitch manipulated to produce bizarre new sounds, especially on all-analog equipment. This is considered an important album in the jazz fusion canon as well, creating a surge of popularity for the style, especially in England where it was a Top 10 hit. Rock and jazz were beginning to merge, and this helped show how interesting instrumentation and arranging can produce new musical material. The album is one of my favorite Zappa records and its first track is the reason I’m here today writing for this Legends of Tone feature. Arguably Zappa’s best-known and most popular song is “Peaches en Regalia.” It received extra public attention when in 2009, Zappa’s son Dweezil won a Grammy producing a cover of the song with his tribute band Zappa Plays Zappa. There’s a certain charm to the tune, and I found it a perfect way to capture the ethos of Zappa in one single track. It showcases his arranging, interesting harmonies, and vision in general. When I set forth to record it, I had to literally make a checklist of all of the instruments used on the original recording, crossing off each one as I figured out their parts and recorded them so as not to get lost. The bass track was actually a painstaking note-for-note transcription of the entire original bassline all the way through, which perfectly helped my track retain its Zappa flavor and feel. There’s a lot of Motown and soul basslines in the track, and without them it just wouldn’t sound like Peaches as we all know it. Once the core rhythm section was mapped out, I layered in the piano and organ parts, also taking care to voice the chords exactly as I heard them on the record. The organ carried a lot of weight in the original version, so again its importance couldn’t be understated in my mix. I had some fun recording “guitar organ” as I dubbed it, which appears in the ending fadeout vamp of the tune. I got a pretty decent organ sound by using a Walrus Audio Luminary Quad Octave Generator, manipulating the upper octaves (and a touch of lower) to create a more lush pipe organ sound. After drums/bass and piano/organ were done, the most interesting part of the tune was to come: all of the guitars, keyboards, woodwinds, and flute parts. Honestly this was the part that excited me the most to transcribe and learn. But believe me – it was not easy to discern individual instruments in a mix this dense. Take for instance, the saxophone trio found after the main theme ends. It’s three-part harmony was absolutely stunning to piece together part by part and sounded great performed on electric guitar. To get the tone, I used a Gibson 2018 SG Standard plugged into a Pignose 7-100 Legendary amp, a small battery-powered amp that when turned up produced a great overdrive sound. Zappa famously used this very same small amp in the ’70s for his classic track “Black Napkins” and many other songs and live performances too. He would hit the amp hard with dB boost switches in his guitars, and also modded the amp for higher voltage at one point too. 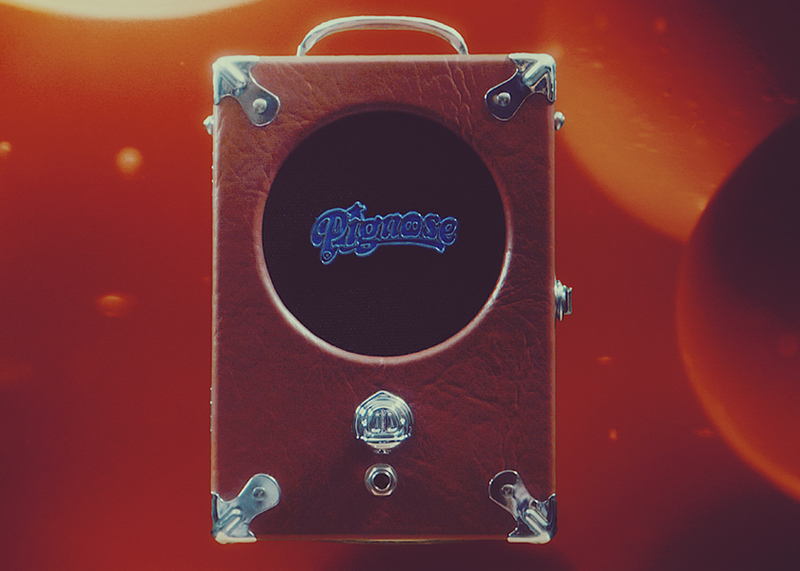 Either way, it’s a tiny little guy that produced most of the overdrive tones heard on my own recording of Peaches. To add a bit more texture, I recorded a few of those harmonies with the Fender Player Jaguar Pau Ferro model, and a Reverend Double Agent OG as well. As mentioned before, the amp was used for the core tones, but there were a few pedals I added to the signal chain to really get the amp to snarl how I needed it to. The three main drive pedals were: a Dunlop FFM3 Hendrix Fuzz Face Mini, an Electro-Harmonix Big Muff Pi, and a JHS Crayon Overdrive. I used each one for different applications based on the levels of drive that were required. For instance, the main theme toward the beginning of the song was simply the Pignose lightly driven, but immediately following that you hear a more thickly saturated lead tone. That was the Big Muff driving the amp with lower settings of gain. To thicken it up I recorded a double of the track an octave down with darker tone settings and mixed it back in. The JHS Crayon made an appearance, especially when I recorded my guitar version of the famous organ lead before the breakdown section. The Crayon when turned up became a fuzzy, spitty beast that completely destroyed the signal of the Pignose is a wonderful way. 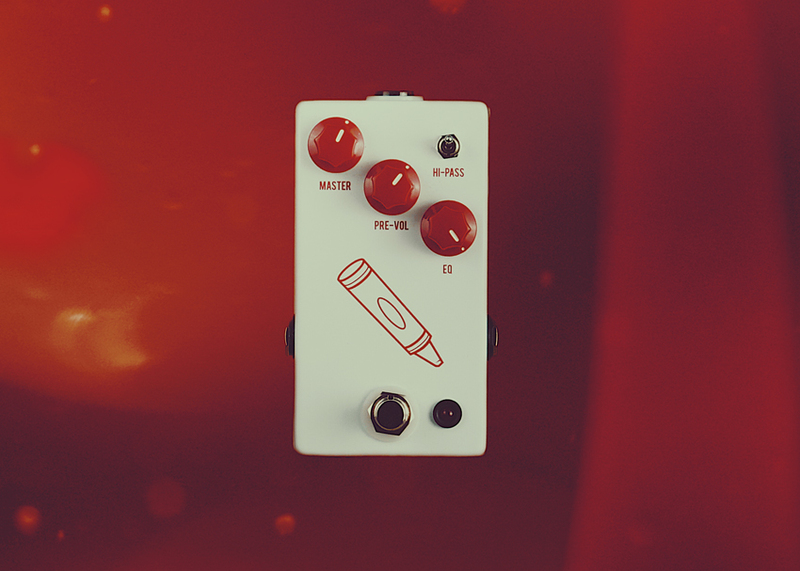 Anytime there are over-the-top fuzz sounds heard in the song’s leads, rest assured that it is the magic of the Crayon pedal. 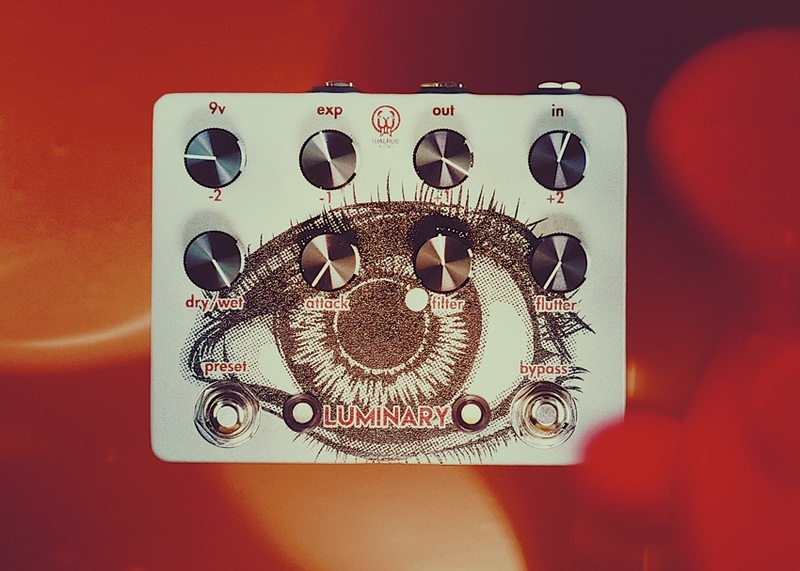 I experimented with running the Walrus Audio Luminary pedal into the Crayon and vice-versa to further increase the glitchiness of the signal, oftentimes blending tracks with those tones underneath the other leads to give them more texture and interesting timbres. 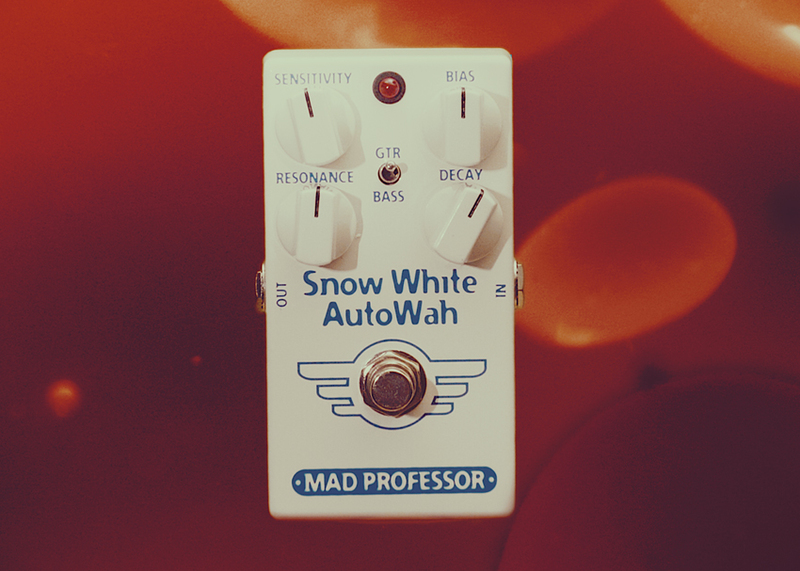 Mad Professor’s Snow White AutoWah also was featured on one of my favorite parts of the tune: the flute/guitar duet section. This one was fun – I programmed a MIDI flute part that I transcribed, and then layered a guitar track with the Snow White AutoWah through the Pignose amp. But because of the unique tone of the original recordings, I decided to also blend in a copy of the track but this time a completely clean version with no amp signal. The resulting texture is really cool and gives it a nice texture there. You’ll also notice a flute trio that I recorded for guitar and buried in the background underneath the small guitar solo following the flute duet. I was shocked I had never consciously noticed those parts when listening to the song in the past, which to me is another mark of Zappa’s compositional genius. 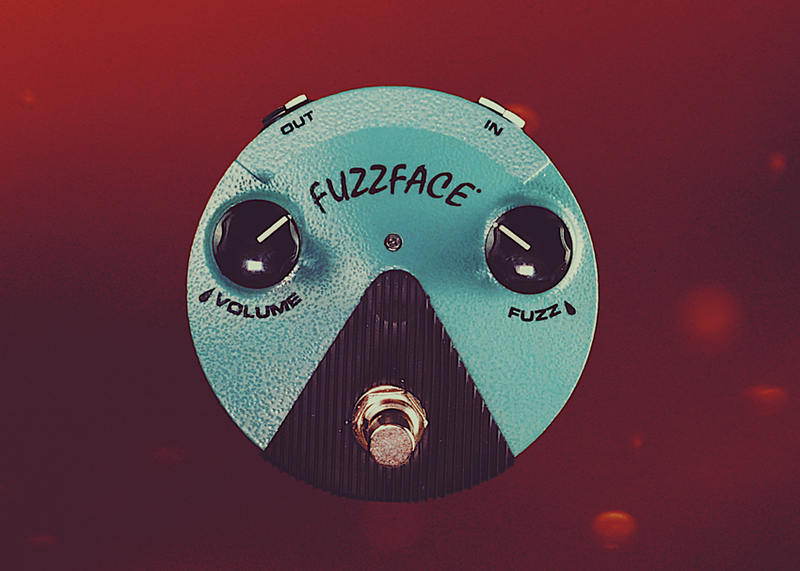 Now for the Fuzz Face, I wanted the tone to stand out against the tones that were already heard from the Big Muff and the JHS Crayon. To achieve this, I gave the Fuzz Face a feature on the reprise of the melody later in the song. I reduced all of the textures heard on the original recording down to a quartet of guitar tracks with fuzz set at a medium level. For the upper harmonies I made sure the tone settings were sharp and cutting, but dialed back the lower harmony’s tone to a much darker setting. When blended together they balance each other out and create a pretty cool fuzz texture. For the last section of the tune that vamps until the fadeout, I somehow needed to replicate the sound of a clarinet duet. After I pondered it for a minute though, I realized there was an easy solution to that: use the Big Muff but dial the tone settings on the darker end. With the guitar signal slightly distorted it would retain the upper harmonics, but with the rounder tone it could sound like a clarinet. Sure enough, it was pretty spot on! So with a little creativity, I was able to use those few effects to make all of the tones heard on the recording. Check out our video embedded at the top of this post to hear and see my tribute to the tones of Frank Zappa! While this post had a focus on Zappa’s earliest works through the 1960s, that barely scratches the surface of his massive and prolific discography. If you have any requests for a song in Zappa’s ’70s catalog, then comment below and I’ll try my hardest to get a Part Two video in the works. Fingers crossed! It sounds nice though FZ didn´t have an SG in 1969 when Hot Rats was recorded. Great work Justin! I also saw FZ a few times in the late 70s early 80s. A very special performer and a unique guitarist and composer. In fact, I was at the gig at the Hammersmith Odeon the first time he brought out Dweezil to play a solo. Fast forward umpteen years and I caught Dweezil again doing the Zappa plays Zappa tour that came down to New Zealand. Awesome! Your musicianship, recording prowess and just the ability to even begin to decompose, transcribe and play Zappa’s work is truly mind-blowing. I’m 66 now (a playing musician all these years, since 13) and was lucky enough to have seen Zappa in concert in Atlanta in 1972. I was in maybe the sixth or seventh row that night, right up front. Unbelievable experience! Bravo, Justin. Tremendous work on your part. Thank you.